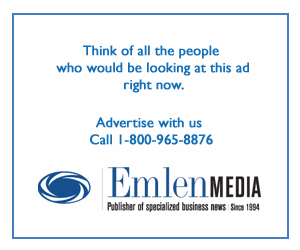 New York officials hold a groundbreaking ceremony for a new 1,000-seat school that will include state-of-the-art science labs, occupational and physical therapy spaces, and art and music rooms. Photo by Ed Reed/Mayoral Photography Office. 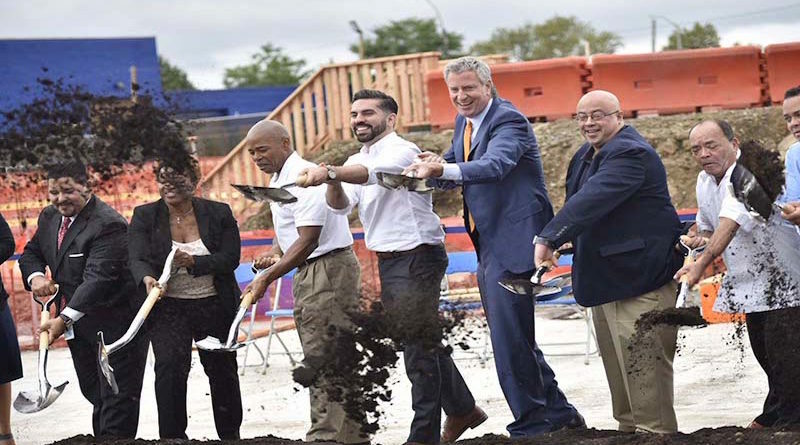 NEW YORK — Mayor Bill de Blasio, Schools Chancellor Richard A. Carranza, Deputy Mayor Alicia Glen, Council Member Rafael Espinal and Brooklyn Borough President Eric Adams have broken ground on a new school facility in East New York. The new state-of-the-art building will provide 1,000 seats for pre-K through eighth grade students, and will open for the 2020-2021 school year. The NYC school system is the largest school district in the U.S., with over 1.1 million students currently enrolled across the city’s five boroughs: Brooklyn, the Bronx, Manhattan, Queens, and Staten Island. Brooklyn boasts the largest student enrollment across all five boroughs, with a total of 342,622 students reported in the 2017-2018 school year. As of September 2017 there were reportedly 1,843 schools within the city’s Department of Education. Located at 3269 Atlantic Avenue, the building will be fully ADA-accessible and will include two state-of-the-art science labs, a gymnasium and two exercise rooms, occupational therapy and physical therapy spaces, two art rooms, a music room with sound-proof practice space, a 1,000-square-foot rooftop greenhouse, funded by Council Member Espinal, and a school yard with a basketball court, play equipment, and benches and trees. The playground will reportedly be open to the public during non-school hours. The new school construction is due in part to the East New York Neighborhood Plan, a comprehensive plan designed to promote affordable housing and economic development. The plan was developed through a years-long, robust community planning process which involved close collaboration with residents, stakeholders and elected officials — and that commits $267 million in capital projects and services for East New York residents. The elementary and middle school is among the most important commitments made to the East New York community as part of the plan, which was adopted by the City Council in 2016. According to the plan, construction of the new 1,000-seat school will alleviate school overcrowding and provide for a growing population.